is overpriced in my opinion. now turned into a marmalade. Fresh figs and a twig of eucalyptus. A bit floral. Loads of dried and fresh fruits; peaches, apples, pears, oranges. Red roses, cacao powder, pickled ginger. Really amazing. It sweet and sour (the ginger note really works well here). It's spicy and very fruity at the same time. Like that Indian dessert..? Long, gorgeous, smooth. More fruit again, and less cacao and ginger. 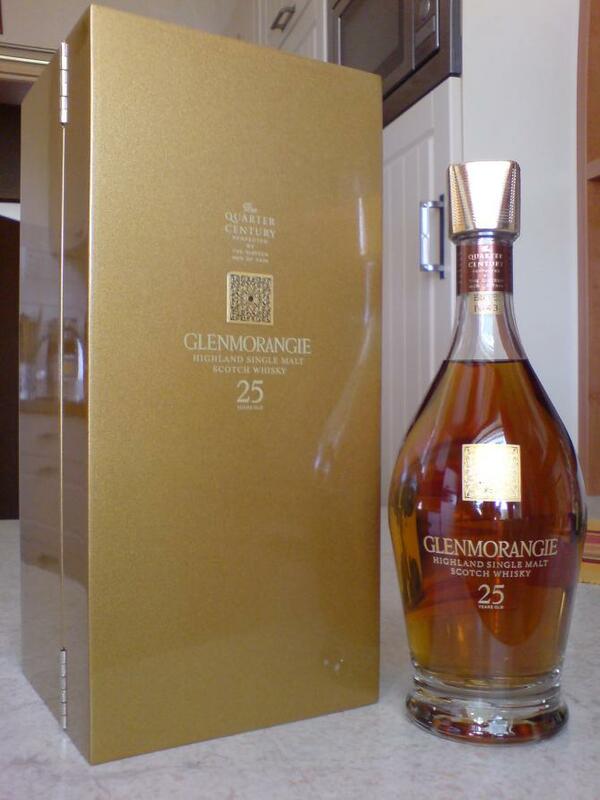 Not a price / value champion, but 43% is not thin, sophisticated and well matured whisky. 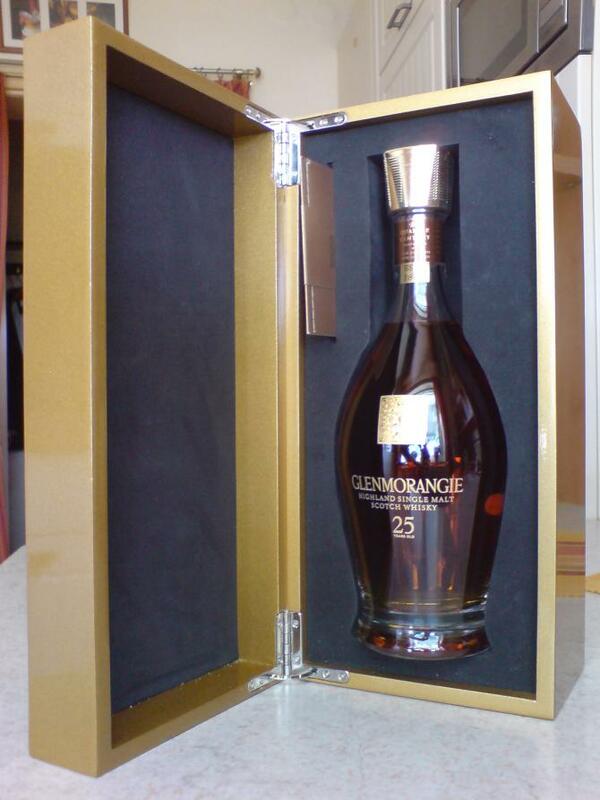 Usual Glenmorangie florality. Mixed fruit basket, milk chocolate, honey and sherry. Sophisticated. Black currant, phosphorous sherry, tobacco and milk chocolate. Raspberry jam and prune. Touch of pepper. Medium length, fruity, oaky and spicy. A deep nose and a soft palate, with a dissapointing finish. Compared with the fruity 18 years sherry dominates the 25 years old. It is quite good, but I enjoyed the considerably more affordable 18 years as much. Clean laundry (a note I find typical for Glenmorangie,than heavy sherried notes like raisins, bramble, milk chocolate and coffee. I smell gooseberries and liquorice too. Velvety soft and creamy with raspberries, blackcurrant and milk chocolate. Also notes of sherry, balsamico and tobacco. A bit thin and astringent. Liquorice, vanilla, vague yellow fruits, a bit spicy and a whiff of tobacco. 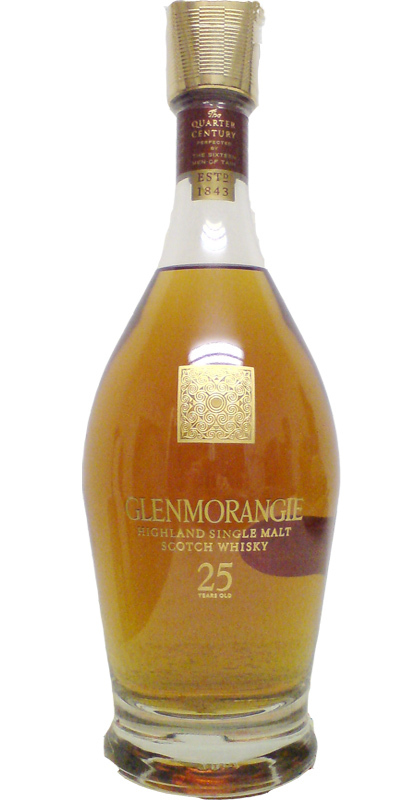 Quite a pleasant and lovely Glenmorangie, like the 18y old: Quite easy to enjoy. In the long term not very convincing for 25 years. Gentle Oloroso, sweet fruits (like apples and pears), floral and honey, milk chocolate. Sherry, herbs, plums, some Marsala and honey. F- Medium-long, subtly coat of wax, creamy ripe citrus fruits. 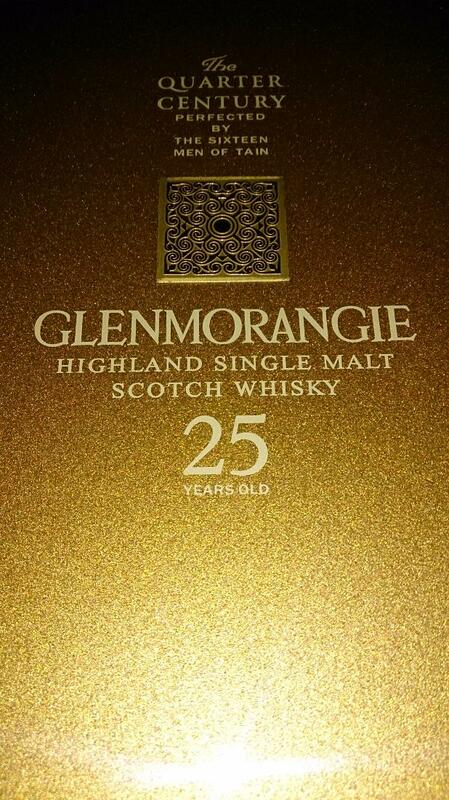 I'm usually not fond of Glenmorangie but this one won me over. Not worth €300 though. Not by a long shot. A fine one but a bit shy. Fruitiness: tinned peaches and then something richer, sweeter. Slight turfiness. No smoke. Body is light or medium. A little too watery. Slick body with some particulates. A bit of creaminess, and a tannic bite on the gums. Honey, red apple, marmalade. The taste is very even and contains no surprise turns. 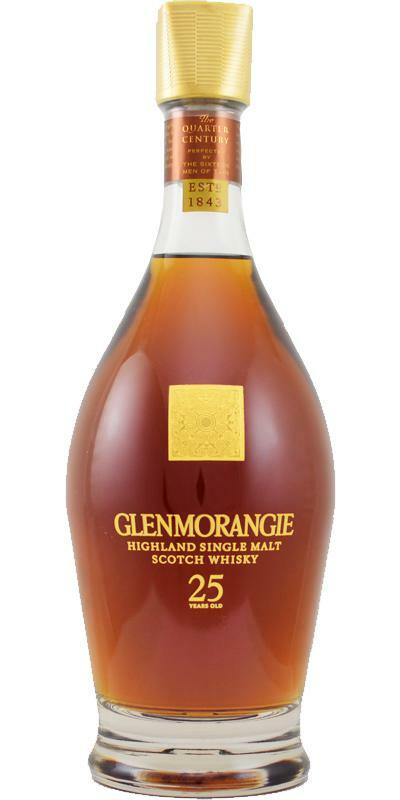 Comparable to HP25 2012: both have this slowly fading finish that isn't entirely perfect because although the aromas are well balanced, it's the kind of whisky you want to be drinking only on good palate days because it might not feel lasting enough to leave a proper impression when you aren't at your best.